Excuse me while I lay out my editorial agenda during this awards ceremony. Recently, actress/director Brie Larson used her award acceptance speech (for the Crystal Award for Excellence in Film at the Women In Film + Lucy Awards event) to put forth an ideological agenda intended to push racial and sexual equality among film critics — Rotten Tomatoes’ “Top Critics” specifically. Affirmative-action comes to film review aggregation. It wasn’t clear whether Larson was attacking Rotten Tomatoes or the corporate media outlets that garner the aggregate film review website’s coveted “Top Critics” designation, but it was clear that she isn’t keen on white male film critics, or even necessarily female film critics for that matter. Brie Larson savors the smell of her own flatulence. With heavy sighs Larson quoted stats from a report titled “Critic’s Choice?” by USC’s Annenberg Inclusion Initiative under founder and director Stacy L. Smith. The authors of Smith’s report propose several solutions for groups that work with or educate critics. Most notably, they offer a set of target inclusion goals for the field. Know that the USC Annenberg Inclusion Initiative has multiple corporate partners including, but not limited to, Google, Epix, Sony Pictures Entertainment, and Walt Disney. You couldn’t get much closer to Hollywood than USC if you tried. “Tainted by industry involvement” rolls off the lips so easily in this context. 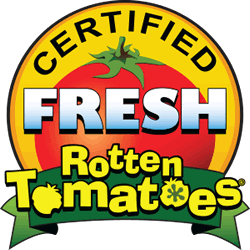 Rotten Tomatoes “Top Critics” (full disclosure, I am not on that lofty list) is an elite group favored by a system that grandfathers in critics hired to write for old-school media outlets such as Newsday, The Washington Post, or the Village Voice. Jane Doe might never have written a film review in her life, but as soon as she gets hired by the Arizona Republic to write about movies, she wins the coveted crown of Top Critic on Rotten Tomatoes. La dee da. This is important to know considering that, in her speech, Larson illogically reached out to minority [would-be] bloggers whose chances at becoming a Rotten Tomatoes “Top Critic” is considerably less than the already thorny task of being admitted as a Rotten Tomatoes critic in the first place. Rotten Tomatoes doesn’t typically recognize independent blogs. Larson seems to have a blind spot for the blockbuster Marvel superhero franchise movies she’s currently involved with as the first female “Captain Marvel,” since that saturated market caters to lowest common denominator movie audiences rather than to the minority-made independent films that Larson uses to mask her actual intention. Evidently, this is what Larson means when she refers to "films that better reflect people that [sic] buy movie tickets." Cough. Larson clearly wants “good” (positive) reviews for every movie she makes, and she wants those reviews to come from young, (ostensibly under or unemployed) female, minority audiences who she thinks don’t know any better. Larson blatantly shows just how dumb she considers minorities to be. In Brie Larson’s mind, negative reviews are for suckers. Evidently, harnessing Rotten Tomatoes’ algorithmic groupthink for that all-important 100% mark looms large in a movie industry attempting to manufacture [non]critical opinion. The intent here seems to be to force a utopic vision of critical equality down the nation’s throat via Rotten Tomatoes. Nevermind that in this utopic vision, critical thought is the bane of its foundation since Larson’s emphasis is on positive reviews equaling to that precious 100% Rotten Tomatoes score that distributors can then use in advertising. Really. Me, me, me, me, me, me, me. Larson comes across as tone-deaf to the fact that the number of rent-paying film critic jobs in this country probably falls well beneath 200 positions. In effect, Brie Larson is trolling for free, young, untrained, uneducated, labor (in the guise of independent bloggers), who she imagines will miraculously be anointed as Top Critics on Rotten Tomatoes. It’s strange that Larson doesn’t prioritize the safety of American immigrants and black people being hunted like animals in this country. Larson’s social posturing is all about her livelihood, not theirs. Entitled, condescending, patronizing, and ignorant are just a few terms that paint Larson's character. As has always been the case throughout history, there needs to be more minority critical voices expressing values and ideas that really do challenge the status quo (think John Waters's "Multiple Maniacs" in 1970). Think David Lynch with "Eraserhead" in 1977. Charles Burnett's "Killer of Sheep" in 1978. It is clear that challenging the status quo is not what Brie Larson or Stacy L. Smith are encouraging or promoting, quite the opposite. Larson and Smith represent the worst aspects of the status quo because they mask their capitalist motives with a false plea for human equality, the last thing that either of these duplicitous women want for themselves, or for the world. Brie Larson didn’t spare the insults. “I do not need a 40-year-old white dude to tell me what didn’t work for him about “A Wrinkle In Time,” it wasn’t made for him. I wanna know what that film meant to women of color, to biracial women, to teen women of color, to teens that are biracial.” What about the things these movies get wrong? Brie Larson doesn't want to know. As Justin Chang pointed out in his brilliant piece for the LA Times on this subject, “Who is this movie for?” is an inherently limiting question” that “leads to ridiculous generalizations.” The result of “writing off men [critics] as a gender is hard to do without projecting a similarly dim view of women.” Yep, sexism is sexism. It seems that Brie Larson doesn’t know the first thing about film criticism. I didn’t “need” a 55-year-old white lady (namely Pauline Kael) to tell me what "didn’t work" for her regarding Bernardo Bertolucci’s “1900” (my favorite film of all time), but I can re-read Kael’s negative review of that film over and over because her writing and perspective is so rich. Passion. Pure passion. You want to know what makes a great film critic like Justin Chang or Pauline Kael so great? Passion. You either have it or you don't. If you want to be a film critic then you've got to dirty but keep it immaculately clean the whole time. Hunter S. Thompson, I salute you brother. I get a serious intellectual and emotional kick out of reading Pauline Kael tear my favorite movie apart. That's entertainment. And, let me tell you I get my money's worth. Any criticism of art is about resonance, not redundancy. I’d be bored stiff reading a film review that patronized me the way Brie Larson’s idea of film criticism portends. I already have my own opinions, I don’t want to be told what I already think or know. I'm grown up enough to know that different people will have different opinions than my own. So what? That's how we prove our respect for one another. Larson exploited the #MeToo movement to smear white male film critics with the same dung used on such reprehensible examples such as Donald Trump, and Harvey Weinstein. Ms. Larson made a point to sniffle for dramatic effect and roll her eyes while reeling off statistics about the disproportionate number of white male critics as opposed to “people of color;” meanwhile Stanislavsky rolled over in his grave. Method acting be damned, this was ham acting at its worst. This is exclusion, not inclusion, territory. Larson isn’t promoting independent thought, far from it. We learn from Larson’s speech that now movies are made for specific classes, if not nationalities, of audiences. White males are not invited to the party. Believe me, Brie Larson, we “white dudes” get just how much you hate us. You don’t need to deny it anymore. Clearly, Brie Larson has an issue with older white men. All the more reason for Stacy L. Smith to use Larson as a Trojan Horse to smuggle through a pork-barrel ideology designed to push out professional film critics (i.e. film historians) engaging in the demands of the job, which intrinsically prioritizes criticizing faults and flaws of any movie as based on years of experience working in the medium. Larson’s speech (ostensibly authored by Smith) humble shames cheap or free minority labor to do their bidding, namely writing positive film reviews at the expense of professional integrity. It’s as though they [Smith and Larson] were shilling for good Yelp reviews. Still, the immediate net effect of Larson’s war on critical thought has been superficially positive so far, if you don’t count the potential effect it will have on film critic jobs currently held by “white dudes over 40.” The Sundance Film Festival and the Toronto Film Festival have pledged that 20 percent of their press credentials be given to underrepresented journalists and critics. There is, however, no small amount of irony in the fact that The Toronto Film Festival famously and frequently charges journalists to attend. Then there’s the fact of a journalist having to bankroll flight and hotel bookings before setting out to complete a workload of writing (if done well) that would make a college student cramming for exams look lazy by comparison. From a critical perspective, Brie Larson’s speech was ignorant, preachy, and cynical. It was ageist, racist, and sexist. Larson delivered her frequently patronizing lines like a petulant spoiled child talking above her education level. The actress went so far as to break the forth wall to pat herself on the back during the speech for positive reviews of her own film “The Room.” Larson lacked charisma and intelligence. The social themes that Larson equated to human equality lacked the necessary humanitarian foundation that she pretended to imbue. Larson could not conceal the capitalist subtext simmering beneath the surface of her awkward argument. The speech was unwatchable for its pathological loathing of “white” men. You can easily extrapolate that 10 years from now, another version of Brie Larson will come along to bemoan how he or she doesn’t need 30-year-old woman of color to tell them what didn’t work for them regarding a movie that wasn’t made for them. These are treacherous waters. I don’t “need” to be berated by rich white women for doing the work that my passions lead me to do, namely working as a film critic. I consider myself lucky to be able to constantly study, celebrate, and criticize the medium of Global Cinema for its universality of the human condition. I take umbrage when someone goes out of their way to insult and diminish me as a professional and as a human being based on my race and age. I give Brie Larson and Stacy L. Smith a grade of F for attempting to subvert the nature of Cinema as something to be segregated rather than embraced by all.